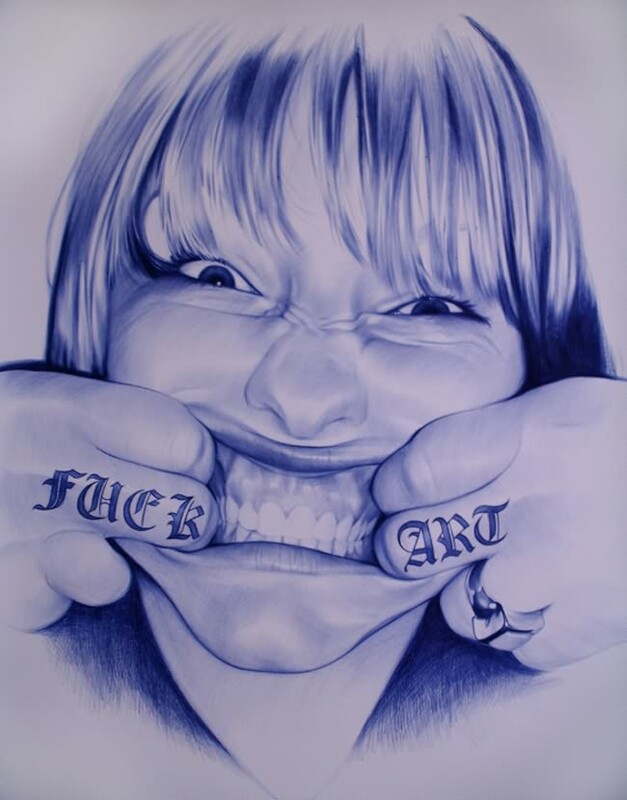 The Bic Biro is a tool of writing and perhaps line drawing, but what about fine art? 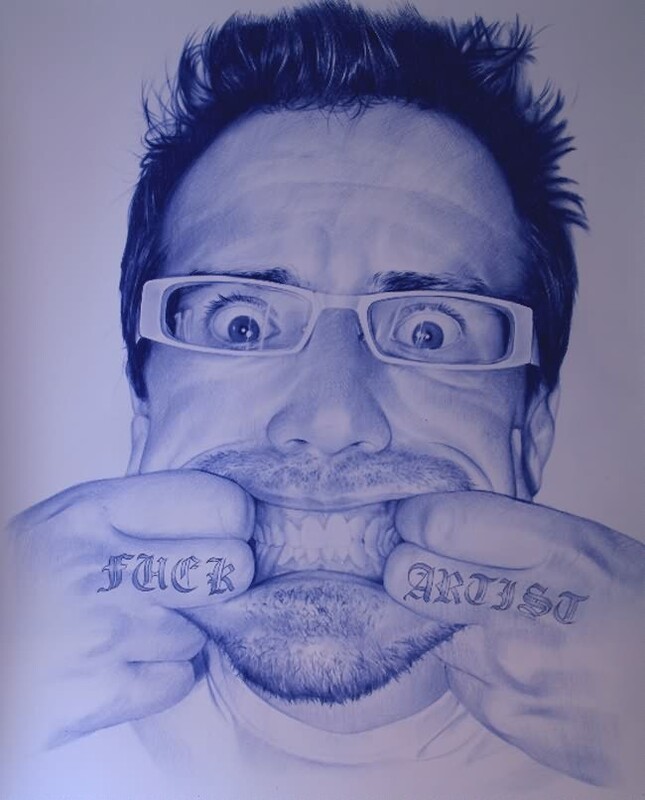 Juan Francisco is an artist who has taken this his Bic to the next level, well probably a few levels after that really. 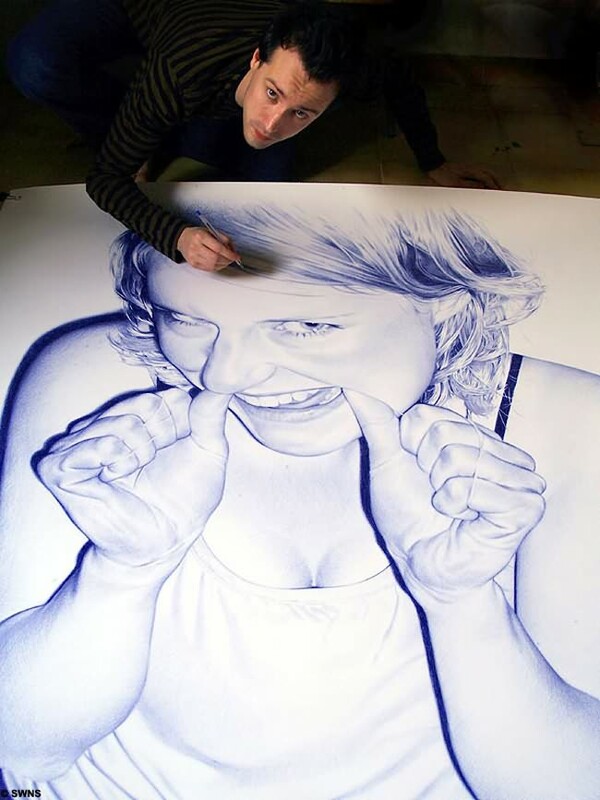 He creates absolutly beautiful work with just a blue Bic Biro. 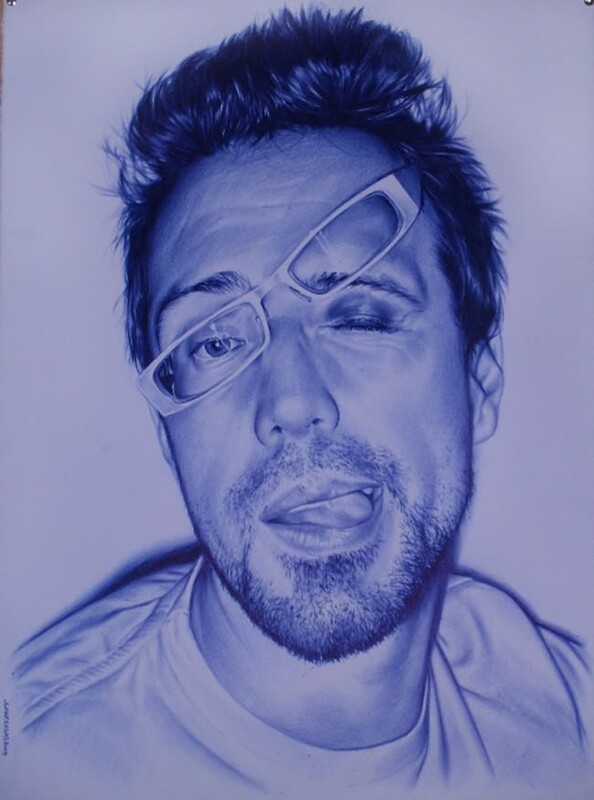 They may look like pin-sharp photographs but these amazing pictures are actually drawings created with the humble ballpoint pen. The stunning pictures, measuring up to 10ft high, were drawn by a rising star of the art world, Juan Francisco Casas. 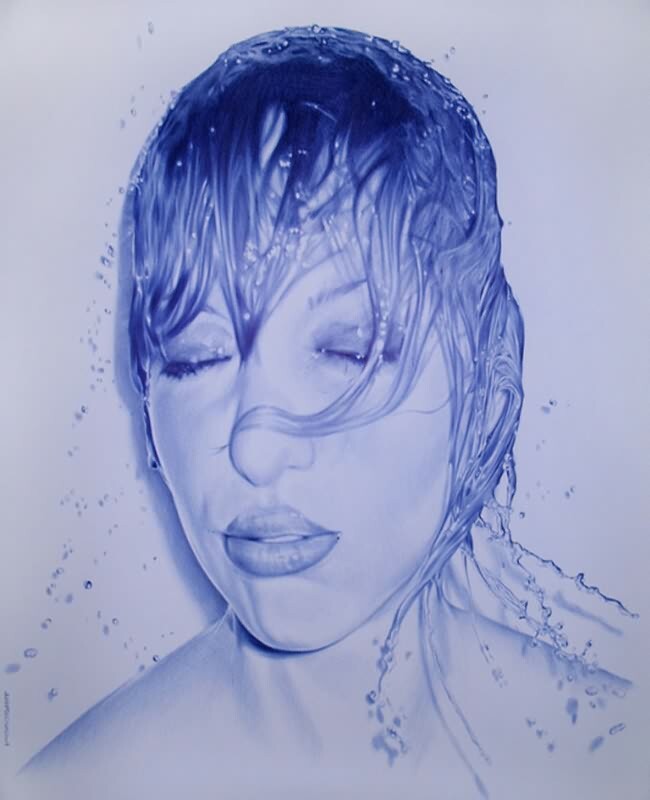 Juan can use up to four 14p ballpoint pens for a canvas and his works are already a sell-out at exhibitions. Formerly a traditional painter, Juan began the drawings three years ago based on photographs of nights out with his friends. Juan said: "I guess it started off as a joke, to try and make something so realistic that people would think is a photo. I also wanted to create it with something that everyone has - a Biro. I don't think it has ever been done before. For me it's not that different from painting. I was trying to show that it doesn't matter what material you use, it's what you do with it." The only drawback is that he can't erase any errors. He said: "Mistakes are the main problem. It's better if I make them at the beginning."